Just wanted to share to bless! Enjoy! 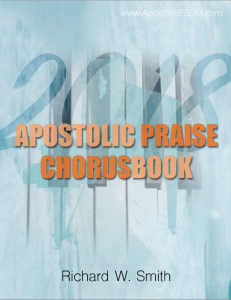 Sign up for our mailing list and receive free chord sheets PLUS Apostolic Praise behind-the-scenes lessons, videos, tips, promos, coupons, offers & special news. Get a free ebook with six fills and runs when you sign up too and instant access to the first two lessons of each of our courses (OVER 50 FREE LESSONS & VIDEO TUTORIALS)! See page 4 to read about how I think about music. It’s wayyy easier than you think! Free Chord Sheet – Great for Easter! Fill out this form to get instant access to more free lessons here! (OVER 50 FREE LESSONS & VIDEO TUTORIALS)! WANT MORE? 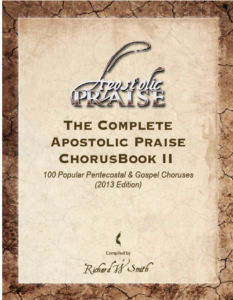 Sign up for our mailing list and receive free chord sheets PLUS Apostolic Praise behind-the-scenes lessons, videos, tips, promos, coupons, offers & special news. Get a free ebook with six fills and runs when you sign up too and instant access to the first two lessons of each of our courses (OVER 50 FREE LESSONS & VIDEO TUTORIALS)! Lesson 11: When chords act “unnaturally.” When the ii chord is a II chord. Lesson 12: When the iii chord is a III chord. LESSON 2: How to Play & Substitute Augmented (+5) & Suspended 4 Chords in C, Exercise Songs, Inversions, “Amazing Grace” & Breathe” in C, Major Pentatonic Scale in C, F, G and Ear Training PART 1: I to IV and I to V.
LESSON 3: How to Play & Substitute Augmented (+5) & Suspended 4 Chords in F, Exercise Songs, Inversions, “Amazing Grace” & Breathe” in F, Major Pentatonic Scale in F, Bb, C and Ear Training PART 2: I to IV and I to V.
LESSON 1: Review of How to Play and Substitute Dominant 7ths, Minor 7ths, Major 7ths, Suspended 2, Minor 2, Augmented 7th, Half-Diminished 7th Chords & Introduction to How to Play & Substitute Dominant 9ths, Minor 9ths, and Major 9th Chords. 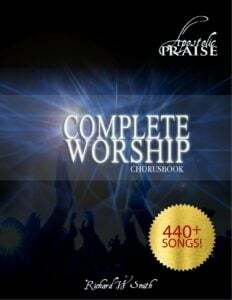 LESSON 2: How to Play & Substitute Dominant, Minor, Minor 9ths in C, Exercise Songs, Inversions, How to Use Them to Play “There Is No Telling” & “In the Presence of Jehovah” in C, How to Substitute them into “Surround Me O Lord” in C.
LESSON 3: How to Play & Substitute Dominant, Minor, Minor 9ths in F, Exercise Songs, Inversions, How to Use Them to Play “There Is No Telling” & “In the Presence of Jehovah” in F, How to Substitute them into “Surround Me O Lord” in F.
LESSON 4: How to Play & Substitute Dominant, Minor, Minor 9ths in G, Exercise Songs, Inversions, How to Use Them to Play “There Is No Telling” & “In the Presence of Jehovah” in G, How to Substitute them into “Surround Me O Lord” in G.
LESSON 5: How to Play & Substitute Fully Diminished 7ths in C, Exercise Songs, Inversions, Fully Diminished 7ths in Every Key, “Worthy You Are Worthy,” “There Is No Telling” and “Amazing Grace” in C.
LESSON 6: How to Play & Substitute Fully Diminished 7ths in F, Exercise Songs, Inversions, Fully Diminished 7ths in Every Key, “Worthy You Are Worthy,” “There Is No Telling” and “Amazing Grace” in F.
LESSON 7: How to Play & Substitute Fully Diminished 7ths in G, Exercise Songs, Inversions, Fully Diminished 7ths in Every Key, “Worthy You Are Worthy,” “There Is No Telling” and “Amazing Grace” in G.
LESSON 8: How to Play a Left Hand Walking Bass Line in C and Use It to Play “Can’t Nobody” in C.
LESSON 9: How to Play a Left Hand Walking Bass Line in F & G and Use It to Play “Can’t Nobody” in F & G.
LESSON 10: How to Play & Substitute Augmented 7ths with a #9 and 7ths with a b9 in C, Exercise Songs, Inversions, “You Are the Love of My Life,” “Silver and Gold,” and “There Is No Telling” in C.
LESSON 11: How to Play & Substitute Augmented 7ths with a #9 and 7ths with a b9 in F, Exercise Songs, Inversions, “You Are the Love of My Life,” “Silver and Gold,” and “There Is No Telling” in F.
LESSON 12: How to Play & Substitute Augmented 7ths with a #9 and 7ths with a b9 in G, Exercise Songs, Inversions, “You Are the Love of My Life,” “Silver and Gold,” and “There Is No Telling” in G.
Lesson 7: How to Play a Left Hand Walking Bass Line in C and Use It to Play “Can’t Nobody” in C.
Lesson 8: How to Play a Left Hand Walking Bass Line in F & G and Use It to Play “Can’t Nobody” in F & G.
Lesson 10: How to Play & Substitute Eleventh and Minor Eleventh Chords in F, Inversions, Exercise Songs, How to Use Them to Play “Bless That Wonderful Name of Jesus” in F, How to Play & Substitute Walking Thirteenths in C, Exercise Song, “There Is Power in the Blood” in C.
Lesson 11: How to Play & Substitute Walking Thirteenths in F Exercise Song, “What A Mighty God We Serve” in F, How to Play & Substitute Walking Thirteenths in G, Exercise Song, “Get Your Mind on Jesus” in G.
LESSON 1: Review of Dominant 9ths, Minor 9ths, Major 9ths, Fully Diminished Chords, Augmented 7ths with a #9, & Dominant 7ths with a b9. LESSON 2: How to Play & Substitute Eleventh and Minor Eleventh Chords in C, Inversions, Exercise Songs, How to Use Them to Play “Amazing Grace,” “Anointing,” and “He’s An Ontime God” in C.
LESSON 4: How to Play & Substitute Eleventh and Minor Eleventh Chords in F, Inversions, Exercise Songs, How to Use Them to Play “Amazing Grace,” “Let Your Glory Fill This Place,” and “Bless That Wonderful Name of Jesus” in F.
LESSON 5: How to Play & Substitute Eleventh and Minor Eleventh Chords in G, Inversions, Exercise Songs, How to Use Them to Play “Holy Spirit Rain Down” and “The Blood” in G.
LESSON 6: How to Play & Substitute Thirteenth Chords in C, Exercise Song, and “Amazing Grace” in C using Thirteenths.How to Play & Substitute Thirteenth Chords in C, Exercise Song, and “Amazing Grace” in C using Thirteenths. LESSON 7: How to Play & Substitute Thirteenth Chords in F & G, Exercise Song, and “Falling In Love with Jesus” in F using Thirteenths and “Surround Me O Lord” in G using Thirteenths. LESSON 8: How to Play & Substitute Dominant 9th add 13th Chords in C, Exercise Songs, Inversions, “Wonderful Peace” in C.
LESSON 9: How to Play & Substitute Dominant 9th add 13th Chords in F & G, Exercise Songs, Inversions, “To Be Like Jesus” in F and “Wonderful Peace” in G.
LESSON 10: How to Play & Substitute Walking Thirteenths in C, Exercise Song, “There Is Power in the Blood” in C.
LESSON 11: How to Play & Substitute Walking Thirteenths in F Exercise Song, “What A Mighty God We Serve” in F.
LESSON 12: How to Play & Substitute Walking Thirteenths in G, Exercise Song, “Get Your Mind on Jesus” in G.
LESSON 1: Master the key of A! LESSON 2: Master the key of D! LESSON 3: Master the keys of G and Gm! LESSON 4: Master the keys of C and Cm! LESSON 5: Master the keys of F and Fm! LESSON 6: Master the key of Bb! LESSON 1: Introduction and how to find out what key a song is in by ear. LESSON 2: How to figure out the chords after you find the key and “I Give Myself Away” by William McDowell. LESSON 3: Learning to pick out the bass notes and use them to find the chords. Guessing by ear versus playing by ear. 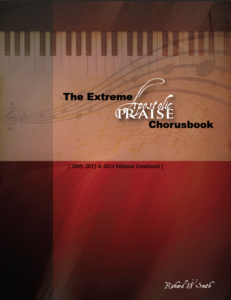 “Amazing Grace” breakdown and audio track training to find the bass notes and chords for “Amazing Grace”. LESSON 4: Figuring out the chords by ear for “Silver and Gold” by Kirk Franklin using Bass First Technique, Chord Theory and By Ear Techniques. LESSON 5: Picking out the Bass Notes and Chords for “If You Can Use Anything Lord”. Includes Breakdown and Audio Track Training. LESSON 6: Figuring out the chords by ear for “I Won’t Go Back” by William McDowell using Bass First Technique, Chord Theory and By Ear Techniques. LESSON 8: Figuring out the chords by ear for “Falling In Love with Jesus” using Bass First Technique, Chord Theory and By Ear Techniques. LESSON 9: Figuring out the chords by ear for “Wonderful Peace” using Bass First Technique, Chord Theory and By Ear Techniques. LESSON 10: Figuring out the chords by ear for “Sold Out” by Hezekiah Walker using Bass First Technique, Chord Theory and By Ear Techniques. LESSON 11: Figure out the chords by ear for “Never Would Have Made It” by Marvin Sapp using Bass First Technique, Chord Theory and By Ear Techniques. LESSON 12: Figuring out the chords by ear for “Through the Fire” by Jason Crabb using Bass First Technique, Chord Theory and By Ear Techniques. Lesson 8: Learning All 12 Augmented, Diminished, Suspended, 6th, Minor 6th Chords, Augmented 7ths, Half Diminished 7ths and how to substitute them. Example Song shown as well as additional fills and runs for these chords. Lesson 12: Crazy cool advanced V chords, 7#5#9 tritone substitution chords, playing in the flow, 2 over 1 chord, jazz chord, ending. LESSON 1: Different Variations of Advanced Fast Song Pentecostal Turnarounds. LESSON 3: Advanced Tritones and Tritone Substitutions for 7#5#9 chords. LESSON 4: Breakdown of the Hymn “I See a Crimson Stream of Blood” note-by-note and then adding advanced fills, runs, and chord progressions. LESSON 5: Breakdown of the Hymn “There Is Power in the Blood” note-by-note and then adding advanced fills, runs, and chord progressions. LESSON 6: On the Spot Playing with breakdown of the Hymn “Tis So Sweet to Trust in Jesus” and then adding advanced fills, runs, and chord progressions. LESSON 7: “I’ll Fly Away” – Dressing Up a Hymn – Advanced Fills, Runs, Chords and Chord Progressions. LESSON 8: “O I Want To See Him” – Dressing Up a Hymn – Advanced Fills, Runs, Chords and Chord Progressions. LESSON 9: “He Set Me Free” – Dressing Up a Hymn – Advanced Fills, Runs, Chords and Chord Progressions. LESSON 5: Shouting Music, Chords & Techniques, I to IV SHOUT, I to V SHOUT and MORE! LESSON 11: Advanced Chord and Substitution Chords Movements In Fast Songs When Going to vi Chord – IMPORTANT – This is one of the BIGGEST movements in gospel and church music! Lesson 6: Introduction to the Treble Clef, Music Staff, Middle C, D, E, F, G and My Favorite Song! If you are like me, you like to practice songs. I mean piano exercises are not usually the funnest thing to play in the world, right? Yet can you imagine an athlete – let’s say a basketball player – if all he ever did was play basketball games against himself, would he ever become really, really good? Definitely not. And practicing songs by yourself is fine but if that is what you spend most of your time doing when you play the piano – you are never going to become really, really good. 3) Don’t worry about mastering each lesson 100% before moving on – just keep moving forward! Each lesson builds upon the previous, so this is perfectly fine and will keep you from getting stuck. 4) Practice the songs we teach you with the Full Band Practice Tracks we provide. This gives you the feel of playing with other musicians and helps your timing. 5) Stay encouraged. Remember that Rome wasn’t built in a day and I didn’t start playing like I do in a day, week or month. 6) HAVE FUN! Remember, you are just PLAYING. It’s not called WORKING the piano (or bass or guitar or whatever you are playing). We are just playing – it’s supposed to be fun. Fun leads to motivation and motivation leads to music. It all starts with fun. If you aren’t motivated, make it fun – think of it as a game! The motivation will come when you learn to enjoy it. Sign up and become a student today. Current members, you know where to login! It’s a new week – let’s learn something new! God bless you and your music ministry! Wanted to share to bless! Click here to download PDF in Beginner, Intermediate and Advanced! Wanted to share to bless – this is a great old song! What could be so powerful? One of the biggest dangers (and I have done it myself) in learning to play is the DANGER OF FALLING INTO A RUT. A rut is where you play the SAME THING, EVERY TIME you sit down to play at the piano (or your instrument of choice). SO HOW DO YOU BREAK OUT OF THIS? I mean, that’s cool sometimes and part of it. But you need to FOCUS. You need to LEARN SOMETHING NEW. If you don’t, then you will just stay where you are at…forever. I personally still take lessons. I will learn from anyone – even a 5 year old. 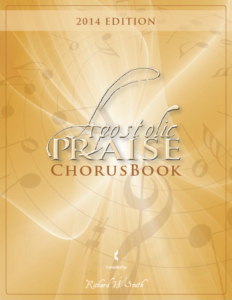 Shameless plug here – Apostolic Praise Lessons will give you focus. Our lessons are specifically designed and have been tested to teach people how to play more quickly, more easily, and have more fun doing it. But notice the saying doesn’t go “If you want to really play, DON’T play around”. NO! It says “If you want to really play, don’t JUST play around. You can play around and have fun (in fact this is the SECOND most important thing to do). But the FIRST most important thing is to FOCUS and LEARN SOMETHING NEW. If you get 1% better everyday, in just one year you will be 365% better. 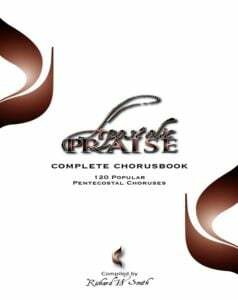 I can take a complete beginner and if they complete just ONE Apostolic Praise Lesson per week. In one year, they will have gone from playing NOTHING (or just major and minor chords) to playing songs and advanced concepts like 11th and 13th chords and fast song walking bass lines with praise vamps! Members, keep learning and focusing by signing in here. Free Students, go here to keep learning or SIGNUP here. But by all means, KEEP LEARNING. God bless you and your playing! P.S.S Are you wanting to help get your church, youth or family band going?! Your answer is here! 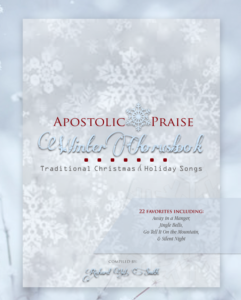 The new Apostolic Praise Beginner Band Package includes the first Apostolic Praise course for each instrument (piano, bass, drums, guitar and organ). 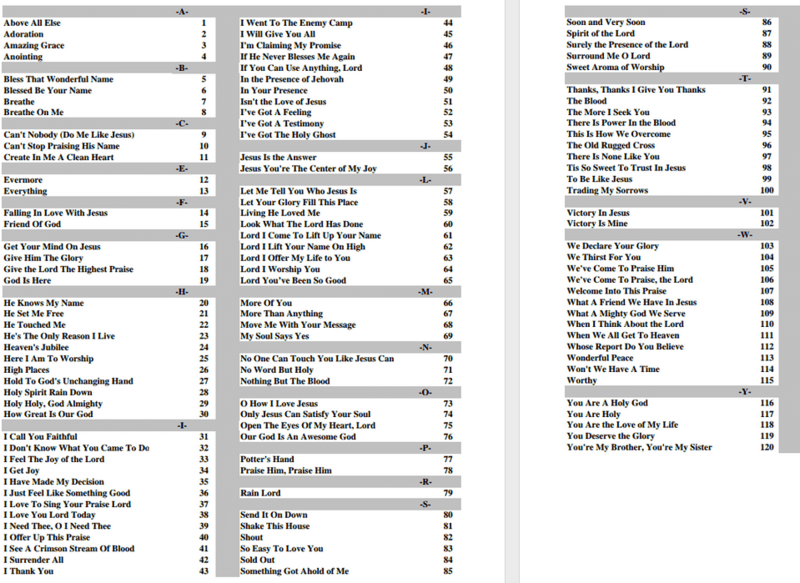 Each 12 lesson course teaches many important concepts with each concept being backed up by a real church song or two! This series will give your musicians a huge boost of confidence, a completely new sound, and it will help you to understand how music actually works while also teaching you the tricks to play by ear. 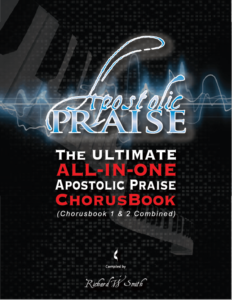 The new Apostolic Praise Beginner Band Package is available as online lessons OR DVD or USB with workbooks and practice CDs (each option comes with Lifetime Online Access too)! Use coupon code “first10” at checkout to get it. Click here to buy or for more info! I remember first learning to piano (keyboard – same thing). I was six years old and there was a lightning storm that had turned off the power so I asked my mom to teach me how to play. See, God sends us storms for a reason sometimes! I have always loved that bluesy, jazzy, gospel-y kind of sound and I tried to learn it out of books. I also took a lot of classical piano lessons with a sweet lady down the road. But let me tell you, I still couldn’t PLAY! You know what I mean…PLAY! Like just sit down at the piano or keyboard and just JAM (or worship) for Jesus! There had to be a secret! More practice? REALLY?! I had practiced for HUNDREDS and THOUSANDS of hours. Well I can practice playing C major scale and my classical pieces backwards and forwards for 10,000 hours but that wasn’t going to teach me how to PLAY. Well, it took me 10+ long years of hunting and digging around until I finally learned the secrets to playing like I wanted to. My goal is to shorten that path for you and give you the tools you need to be playing REAL church songs by your very first lesson (AP 100 Lesson 1). I’ve taught hundreds of in-person LIVE music lessons and through teaching for years, I developed a system that teaches people how to start playing quickly without having to take YEARS of piano lessons. But the system only works if YOU work too (and actually do the lessons and practice them). Make it a goal to complete ONE lesson per week and in one year you will be able to play almost anything. Wanted to share to bless. Click here to download the PDF for this awesome song (it’s written in Beginner, Intermediate and Advanced – so just scroll down for the easiest version). Here’s the free video tutorial for it too! Wanted to share this to bless! 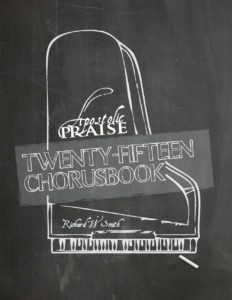 To purchase this chord sheet in TXT, RTF, PDF and Word Doc click here! Wanted to share this to bless. Awesome worship song! To get this chord sheet as a PDF, TXT, RTF and WORD DOC just go here. To actually learn how to understand the language of music and what you are playing and why, become a member here! Like what you learned? There’s a lot more when you become a member! Free Suspended 2 Chord Lesson! Wanted to share this great song to bless! Just wanted to share this to bless. Old video I made years ago – still has some good stuff though! This is just one of our many worship fill videos. We actually show how to use these fills in real songs too. Join to become a member and get access to a ton of more content. Wanted to share this to bless – enjoy! P.S. Have you read our article about The 12 Keys to Learning to Play yet? Just wanted to share to bless. Enjoy! I remember when I was learning to play music and I had these big books of chords that would show me how to play every chord out there in every key. I would try to memorize them and play them, but they sounded so funny. What a waste of time that was! I could play them, but I had no idea how to use them or where to put them in a song! Eventually I just forgot them. You see, there’s so much more to playing music than just learning chords – although chords are important! 10) The Roman Numeral System (This is how the professionals think and communicate about music – it’s also one of the keys to playing by ear for most of us non-perfect pitch people). 11) Songs (All of these things are important and they are what help us to make songs sound better. But it’s not all about just learning songs either. If you just learn songs and never learn the other stuff…that’s not really good either! You may be limited in your playing. 12) Sight-Reading (It’s still a good thing to know how to do – but not necessary to play church and gospel music). And the AWESOME news? We teach all of these things in our courses and throughout our lessons, using a systematic way of learning that we developed over years of teaching students. Ready to start (or continue) your journey of playing? Just wanted to share this old school song chord sheet to bless! MUSICIAN ENEMY NUMBER ONE – DELAY This one is pretty obvious. I’ll just practice later. I’ll do read or watch my next Apostolic Praise lesson later. OR I’m just going to check the news or social media real quick (yeah right). Or I’ll pick it back up next season or next year. (And sometimes you have to do that!) But many times it’s just DELAY. Don’t let DELAY stop you! This can strike in two ways. The first one is you practice and practice and practice the same lesson over and over again and never move past it to the other lessons. TIPS to get around this are as follows: Don’t worry about mastering a lesson 100% before you move on to the next one. Our lessons are structured in such a way that you are going to continue to practice the SAME THINGS but in DIFFERENT WAYS as you go through the courses. This will help you to master them over time. Instead, just try to get the lesson at about a 6 or 7 out of 10 (and you can always go back to review if you need to – you probably won’t have to). The second one is you have practiced for hours but you refuse to play in church or ministry because you are afraid you might mess up. TIP: You ARE going to mess up. But that’s ok! I mess up all the time and people think I’m a PRO! In fact, I did a run on Sunday morning and did it in the completely wrong place. It didn’t sound ANYTHING like I wanted it to. The FUNNY part? Several people commented HOW COOL that exact run sounded (including my pastor). Don’t be afraid to mess up. What that really is, is PRIDE. Rebuke that in Jesus name and go out and be a blessing to HIS kingdom! P.S. Use “summer10off” for a 10% off discount on your next order now! Just wanted to share to bless! This is an oldie but a goodie!! Love this song! We have done this so many times and it’s a great song for the Lord to move! Just wanted to share this to bless!